Long considered the “gold standard” in luxury vinyl plank (LVP) flooring in the U.K., Karndean Designflooring is now an emerging brand here on the other side of the Pond. Over the past 40 years, the company has built a great reputation for making realistic luxury vinyl flooring products, and were one of the first manufacturers to introduce the “loose lay” LVP concept. More on that in a moment. Karndean is not a “mass market” budget manufacturer. People looking for very high-quality design, a variety of styles, and durability choose Karndean—and don’t mind paying premium prices. With that price, however, comes tremendous durability and an impressive selection of colors, textures and looks. In fact, Karndean is an established worldwide brand for some of the most demanding commercial flooring environments. That says a lot. Sure, there are plenty of brands offering LVP (also called LVT) products, but what makes Karndean Designflooring different? Perhaps more importantly, do consumers love or hate those differences? Let’s take a closer look at Karndean. What Products and Styles does Karndean Offer? Is Karndean LVP Safe from Toxic Emissions? Are Customers Happy with Karndean Design Flooring? Vinyl flooring is “softer” and warmer on the feet than wood or tile. It also has some shock and sound absorption qualities, so your home will feel quieter, and you won’t have the creaks and moans of real hardwood or laminate flooring. Cleaning vinyl planks is a breeze with just a mop and a pH-neutral cleaner. Luxury vinyl is also more tolerant to drops, spills, and swings in temperature and humidity. By the way, if you’re still trying to decide between vinyl plank flooring and another flooring type (i.e. wood, tile, laminate, carpet, etc. ), check out our recent article on the pro’s and con’s of vinyl plank flooring. One of the things that makes the Karndean line stand out is its large variety of customizable product ranges. They currently boast 8 different product ranges and more than 200 individual product choices. The premium and popular Art Select range features super-realistic wood and stone-looks with finishes that mimic the real-life textures of those natural materials. The Art Select line is also known for offering one of the only options for truly realistic wood parquet-look vinyl. This line has styles that reproduce the look of oak, hickory, limestone, marble and travertine, among others. The Da Vinci range features slim and smooth-wood planks with beveled edges and a broad range of traditional ceramic and stone-look tiles. The styles in this line are decidedly more “rustic” and textured looking than some of the other products. Conversely, the Van Gogh line of products mimic large wood planks, recreating the look of real timber, with large planks and subtle texture. Van Gogh tiles come in a variety of clean and distressed looks. Michelangelo LVP products are inspired by natural stone and feature soft, light colors. These unique products have distinct textured metallic, mosaic and pebble designs. The Opus product range features clean, modern lines in a wide variety of wood and concrete textures in grays, browns and whites available in Karndean’s largest format planks and tiles. Knight Tile is their most affordable line, but it’s not lacking in choice. Knight Tile features both wood and stone-looks, and features a versatile collection of stripes and borders to customize your floor design. Each product range takes design inspiration from different natural materials, so sizes and formats in each product line can range significantly. In addition, each product line has its own vinyl plank thickness & wear layer—some planks are far more durable than others. Keep in mind, planks with thick wear layers are more durable, so be sure to evaluate your durability needs when considering the different lines. They say, “Loose Lay” or “LooseLay” is the most versatile and easy-to-install of all the LVP options. Many brands offer a loose lay option, but Karndean was one of the pioneers of this new system. Like the name suggests, loose lay doesn’t require adhesive or staples, instead using their proprietary K-Wave system that uses friction grip to hold planks to the subfloor. Very cool. Karndean LooseLay could be the ideal solution in small spaces or rooms where you want to reduce noise levels without needing any underlay. In addition, Karndean LooseLay tiles are dimensionally stable so they will not expand or shrink in different moisture levels. This line also includes a wide array of color and style options such as distressed, gray, chocolate and copper tones in all the usual wood grain-looks. Karndean is one of the most environmentally-conscious LVP companies in the world. After listening to years of complaints from the public about vinyl flooring’s negative environmental impacts (like toxic emissions and inability to be recycled), Karndean reengineered its products to be certified by Global GreenTag™. This means their products have been certified for various environmental air-quality standards. Karndean floors also come with a BRE Global Green Guide rating, and are LEED-certified. Their products also carry a test certificate from the U.S. Greenguard Environmental Institute and meet the ‘for use with Children and Schools’ standard, specifically LEED Credit 4.3 and CAL 1350. As if all that weren’t enough, Karndean products are manufactured in factories certified to the ISO 14001 environmental standard and ISO 9001 quality standard. What do all these certifications mean for you? Your floors will never emit volumes of toxic gases that are present in many other brands of LVP flooring. You can also feel good that when you replace the floors in the future, they won’t be sitting in a landfill for all eternity. According to Karndean, their floors are highly resistant to stains and simple to keep clean, and consumers mostly agree. Their floors cope with spills without warping and everyday drops on the floor will not leave permanent damage. Unlike carpets, their LVP floors don’t act as a breeding ground for dirt, dust and bacteria. Designed to last for many years, each floor carries a lifetime residential warranty. If for some reason one plank is damaged, a replacement can be substituted by an installer, so be sure to save some extra tiles after installation. What’s more, they have recently incorporated enhanced PU protective surface treatment into all their floors. This provides outstanding slip, scuff and soiling resistance, while transforming the cleaning and maintenance of the floor into a simple chore—no more waxing. Some cleaning products contain agents that can damage LVP floors, so Karndean supplies its own cleaner (Karndean Clean) specially formulated for their floors. It’s important to note that to maintain Karndean’s product guarantee you should use their floor cleaner, which is available at Karndean dealers and online sites like Amazon. Is vinyl as durable as they say? Some homeowners would say ‘no way’, but Karndean’s customers are mostly happy. Fading, scratching, denting and scuffs appear to be common complaints with all vinyl floors, but those complaints are fewer and further between for Karndean. Their website features verified customer reviews, a rating of 4.4/5, and lots of praise. We saw consistent praise for Karndean on other online review sites as well, but Karndean isn’t completely free of critics. From what we’ve read, most of the negative reviews are the result of (possibly) unavoidable accidents or improper installation. While the LVP floors are easy to install, it is recommended that you use a professional installer from a Karndean dealer. This will ensure your lifetime warranty is valid and that you avoid the common installation mistakes that could occur—a subfloor that isn’t level, for example. Karndean offers, by far, the largest selection of stone and wood LVP flooring style choices. Couple that with the ultra-high quality, realistic colors and textures, healthy certifications, and lifetime warranty, and Karndean could be the overall best LVP product out there. LVP is not perfect or impervious to damage, but the Karndean line of products appears to set the bar for LVP flooring worldwide. Karndean has U.S. showrooms in Las Vegas, Pittsburgh and Fort Worth, Texas. 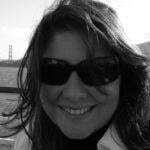 Kristin Warner is a freelance writer and serial home remodeler. She has renovated three homes and is a certified Home Stager and Redesigner. We had Karndean Art Select installed about 7 years ago in the kitchen, DR, LR, laundry, and entryway. It scratches easily. We have felt under everything that touches the floor. The worst place is the kitchen. Under the chairs the planks are a mess. Tiny hard pieces get trapped on the chair leg felt pads and scratch the floor up something awful. Removing shoes at the door is some help, but real life is that some dirt/sand etc. is going to get in. I constantly remind everyone not to slide anything across the floor – the Amazon box that was just delivered, the tote from the basement, your stuff from college you brought home, especially not the laundry basket! Karndean is beautiful- everyone comments on how gorgeous it is – and we’ve had no problem with staining, warping, fading, water spills – but the scratches are disheartening for what we paid. Buy a lot of extra planks! Anyone having issues with streaking when you mop? I have Van Gogh Antique Karrie. Love the look and feel and have had for 6 months now. Only clean with Karndean products but no matter what I do, the kitchen floor is a streaked mess as it dries! Have used a few different kinds of mops, sweep every night and rinse the mops with fresh water after 3 or so passes but still streaks! Can’t use anything else (says it voids the warranty). Would love any suggestions or help. Paid $6K for this and it’s too much of a battle to keep fighting. Thanks! Had my Karndean less than a week and I have six scratches already. We have felt on the bottom of everything. I can only conclude that a small pebble or something got in the house somehow, or I don’t know what… because we don’t ever wear shoes in the house! $5,000 and scratches already. I may as well have had sheet vinyl put in! Sad! Would NEVER use the karndean product again. We have 135m2 of Van Gough wood grain finish in a residential home in New Zealand. Everywhere there is a window or glass panel we have the flooring looking bleached with a green tinge probably from UV. We were sold on it being a great product ideal for NZ conditions etc but lifting rugs etc we can see the fading effect metres away from the windows. Karndean NZ ignoring the issue even though the contact person mentioned the greening BEFORE we did when we rang about the issue… Karndean, inaccurate advertising, poor guarantee, bad product, poor customer support. A waste of money. So far I’m not impressed. Have 3 scratches and I don’t even have my flooring all the way installed yet. They got something on the bottom of one of my dressers and when I tried to move it to plug my stuff back in it removed a dime sized piece of the top layer of the clear part of the flooring. I am looking to replace 3000 sq ft office floor with Karndean Art select but still very hesitant because of the problems some other people had with it. I may choose Modin instead. I installed the Karndean Art Select Hickory Peppercorn in our condo (my first try at installation), and it is beyond amazing! Everyone thinks it’s hardwood and rave about it! The install was perfect – so easy! We’ve had it for 2 years now, in kitchen, dining, family room, and halls. NO scratching, NO fading! (And we have two full glass walls in one room!). We just purchased another condo, and will be installing Karndean Art Select Hickory Peppercorn throughout the main floor, kitchen, and basement rec. room. It’s over twice the cost of most other vinyl plank flooring, but we’ve looked and looked – every sample we bring home looks cheap next to our Karndean! We’ve not used any of Karndean’s other options, but I would not hesitate in HIGHLY recommending the floor we have! A year ago I remodeled my kitchen and at the recommendation of my contractor, I bought Karndean Loose Lay No. LLP-92. I’ve had problems with it ever since. It looks like it’s been down for years. I can’t imagine what it would look like if there was a family in the house. “Remove” is a pain to use … you can’t let it dry so can only work a small portion at a time and then have to go over the area with clean, fresh water. Directions for “Refresh” say you can’t walk on the floor for 6 hours or over night. Who has that kind of time not to walk on their kitchen floor for 6 hours. I’d have to start cleaning the floor at 7 p.m. This is the worst floor ever. All I wanted was a floor that looked good and was easy to maintain. This definitely isn’t that type of floor. Very disappointed. We have installed Karndean LVP throughout our condo. It is beautiful and most people think it is real wood. I have one concern: Is there a safe pad to use under area rugs? We currently are using a basic felt pad under a medium sized rug, but this only works when furniture is holding it down. Is there any non-slip rug pad that will not potentially stain the vinyl? We’re on our second installation of Karndean flooring. Last year I had Van Gough Country Oak installed upstairs and down the hall. We have three Shetland Sheepdogs that run the upstairs like their outside skidding around corners and down the halls. The puppy plays with all his upstairs toys every day. We wear shoes in the house. We’ve not had one scuff, scratch all year. This Fall we’ve during DaVinci Limed Silk Oak in the bi level family room. They’re installing it now and for the next two days. It’s completely different and looks amazing. The same three dogs also play down there. The words DOG and CARPET should never be in the same sentence ever. Goodbye carpet!!!! I would like to have a Karndean floor installed in an entry. Can I use a rubber-backed rug on it since it is an entry without it changing the color of the floor? I’m interested in knowing about satisfaction with Karndean Korlok in term of scratches and dents. I’m leaning toward getting it over other brands that have poor reviews re: scratches. As with most vinyl flooring scratches are inevitable, and I will say that Korlok is no different and can easily scratch. I was reading that it can be installed over an existing hard floor. Does that mean it can be installed over laminate floors? No, laminate is a floating floor and must be removed prior to installing LVP. Had vinyl planks installed on concrete slab. Have noticed there are some “lumps” in the floor as if the slab was not level. Advised by supplier that this does happen. Also there are thin (but noticeable) gaps between planks. Also advised that this was normal. The lumps happened to us, as well. We are now on the fourth attempt by our professional installer to get rid of the lumps. Any advice? They floated the floor and it’s still appearing lumpy. What do you feel is the best vinyl plank flooring in the $3 per sq. ft. price range? Thanks for the article. I am impressed with Karndean flooring as they are one of the only resilient flooring material manufacturers that publish actual coefficient of friction (COF) test data using D2047. Most specifiers, interior designers or architects for example, are only usually told that the static coefficient of friction (SCOF) is greater than 0.50 (so can be called “slip resistant”).